I know this post probably wasn’t meant to be taken literally, but I’ve decided to conquer my fear of water and learn how to swim. I’m just a little embarrassed to start learning at 21. I’ve lived in FL for ten years, but I’ve always come up with an excuse. Why the sudden change? Jaws was on TV last night. Today, a friend mentioned that I go kayaking with her. Then, I saw the first picture in this blog post, and it hit me. I need to conquer my hydrophobia. 🙂 Thanks for the inspiration. I’m so glad you’re going to get out there and conquer the water! You can do it!! Thanks for this comment Sara. Have a great night! Great post! I love this story from the Bible. Thanks for the reminder to be bold and step out into deep waters! Thanks Malaika:) being bold is easier said than done but thankfully we have Spmeone who gives us strength! Thanks for stopping by! Very inspiring! Will definitely try to leave the shore and overcome the “deep waters” in my life! Thank you sweet girl. I love seeing your beautiful face pop up on my feed. Love ya! Great stuff. “Radical”. Love it. Great post! Reminded me of how the lord often tells us to do things that dont make sense. In this story it was going into deep waters. For joshua it was marching around a city wall for seven days. For Jehosophat it was sending the singers to the army front lines in battle. It all probably did not make much sense in the moment, but they trusted Him. Just like we, now, must trust Him when He calls us to do things that seem scary and unusual. Thanks Megan. You’re so right. We have to trust Him. Which can definitely be scary and tough sometimes. But in trust there is freedom. Thanks for stopping by! Hi there! Just wanted to let you know that I nominated you for the Blogger Recognition Award. You can check out my post at http://servinghimtogether.com/2015/09/08/blogger-recognition-award/ for the rules! HI megan! Gosh, thank you so much! Im honored 🙂 thanks for stopping by! Wonderful post. We all deserve a second chance. Thank you so much Bennamin. I am touched and truly humbled by such kind words. Thank you from the bottom of my heart. If you only knew how much you were an encouragement and a bright spot for me! ☺️ I am grateful for you! Thanks for liking my blog. This one of yours is so apt for me since I’m learning the application of that MOST difficult command: love your enemy. Actually, my daughter didn’t walk away from us of her own freewill. She married a psychopath. BUT I must love and pray for him too, even though I want to kill him – and I confess I don’t mean that metaphorically. Deep Waters indeed. Yes to this!! Thanks for sharing! The Lord has definitely been talking to me about deep water. God told Abraham to go, He didn’t say where but He was going to lead him. What did Abraham do? He went! If God sends you into deep water you can bet He has a plan!! So true Vonda! And you can trust that He only wants good for us with those plans too😊😊😊 thanks for stopping by! Oh good I’m so glad angharad! Thanks for your kind words 😊 love and hugs!! Thank you so much Mao. I really appreciate such encouraging words! I pray that God will use a broken vessel like myself to reach His children:) thanks for stopping by. Shed a tear, dear girl, for what some one else may not rebound from, love makes you rebound. He will place that tear in a bottle. Hi there – thanks for stopping by my blog. I really appreciated learning about you and your challenges. I love your honesty too! Look forward to reading more of your posts. Amen! Stepping out into deep water is difficult but rewarding, knowing that our heavenly Father is right with us. wow- I love this post. I am tired too. In so many ways. I am soul tired lately. My whole family is. 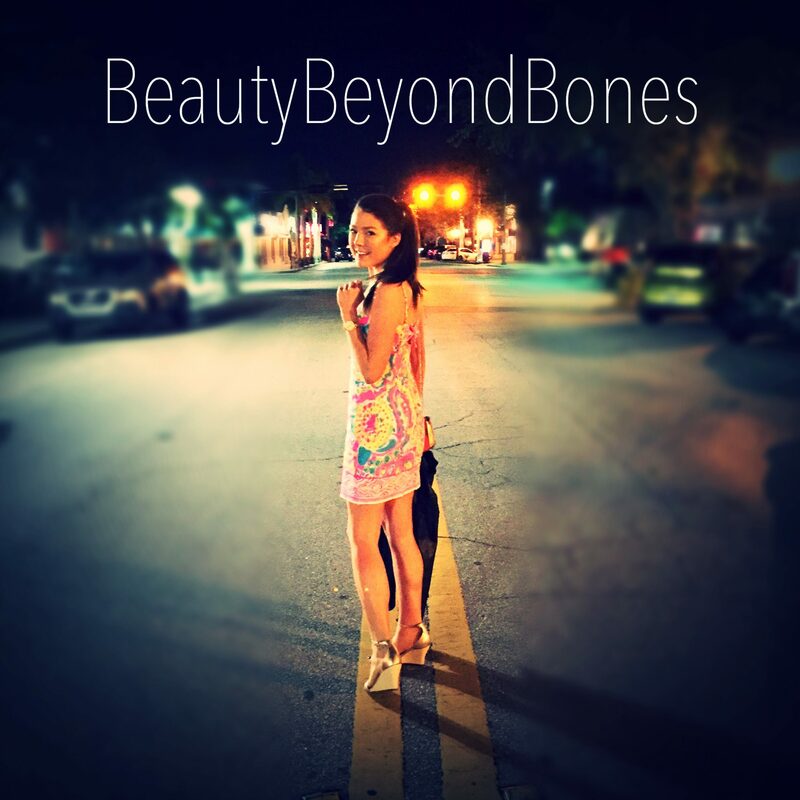 Also, I love the name Beauty Byond Bones. Thank you for sharing yourselfa nd your perspective. I love your writing style =) Looking forward to exploring your blog more. Thank you so much JT. I appreciate that comment:) so glad you stopped by! This was a wonderful read. Thank you for sharing! Thanks for the like. I feel blessed by your reminder of this passage…deep water for sure. I think we all have some in our lives. You did such a good job of bringing the truth from that scripture into the light. I am impressed with your insights and your writing both. Good job. Most of the Christians I know are “shallow water” Christians. They talk a good witness but from their actions and attitudes they are afraid to get too far from the shore. They give as long as it doesn’t impact their lives and comfort “too much”, they reach out to the needy as long as it is someone they think will not “take advantage” of them. Anytime we step out there is always a chance we could get “taken advantage” of but I really can’t worry with that. It is the intention my heart as I minister to those in dire straights that is more important than me losing a few dollars. I know people that “meet needs” and then complain because they received no gratitude and thanks. Deep water is where you can’t “touch the bottom” it’s where you are out of your comfort zone, where you have to trust in what you can’t control. Sometimes it is time to get into water where you can’t put your feet on anything solid and let the water of the spirit take you where you need to be. Thank you so much Eric. You’re so right. And how eloquently you put t too. When we don’t touch the bottom we have to rely on faith. Thanks for stopping by! Haha thank you so much! I try so hard not to be but I guess you can’t take it out of me😂 thanks for stopping by! I love this post. It’s so relatable to so many situations. “Be bold and courageous” Thank you for sharing. I love it when someone is able to put into words, something I have struggled to explain for years. Yup “How many times have you gone to bed and thought, “Well, I’ll try again tomorrow.”” This is the story of my exercise program that went awry. Going deep is a must. Thank you for the motivation. I like coming here to get inspired. Oh thank you stephanae! That means the world☺️ I hear you on that one. You’re right. 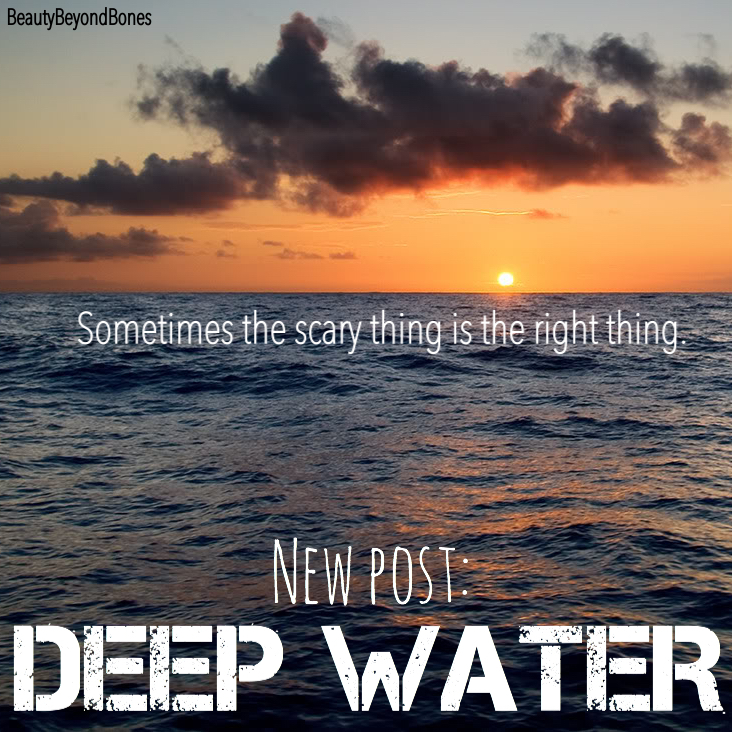 Deep water is where it’s at!! Ain’t it the truth!! 🙂 You are most welcome. This is an amazing post! So many of us can resonate with “fishing in the shallow waters” of life just waiting for a change. Such a blessing to be encouraged to go out into deep water!! Thank you so much! Your words made me smile:) so glad you stopped by! Okay, I don’t have an eating disorder, but my life just feels kinda out of order, and you’re, like speaking to me. I might just be overly caught up in it, but I’m just, really happy I found your blog. I’m kinda recovering from a surgery that happened three years ago next week, and I’ve been letting it stop me from doing a lot of things…Except at this point, I think I’m just being afraid of deep water rather than doing what’s necessary. Anyway, I’m going to try to take this to heart, put more faith in God, and do more for his glory and trusting in his plan for my life. So going to try. Thank you! Thanks for this. I don’t think I ever knew that about fishing with nets (I fish in the freezer section). And I never really paid attention to the “deep water” part. I haven’t quite figured out what’s trying to talk to me in your comments. but you got me thinking. Always a good thing. Haha you made me laugh with your freezer section joke 😂 thanks for your kind and encouraging words, as always. I hope you know how much you taking the time to read each of my posts means to me. Thank you from the bottom of my heart, Jeffrey. My best reply is to invite you to read my post today, “The Shallow End of the Gene Pool.” You actually inspired me to share this story fully. And I had a special “guest star” today in the comments; my wife!! What a cool surprise that was. You can hear her voice now too. I’m so roud of her! Beebs, if you ever do run out of options–talking boys, sorry…(probably won’t ever happen, anyway)…but if you do, I could introduce you to a friend of mine. Don’t ask me to do it now, though. I know this really sounds stupid, so don’t even really consider it an option. Please. Except if way down the road…you know, nothing else, like, eeeeeeeeeeeeeever works out. You’ll think I’m crazy, and I am crazy, and you know that already, so that should come as no surprise. We were best friends through first and second grade, and, you know, fourth grade, too. Ummm…this is really stupid. Just forget that I ever said it, and please don’t ever mention it to him! You know what, this is probably just a dream. I think I’m writing this, but it’s just a dream, and I’m really not, and I think I’m making some great important discovery when I’m really not–dreams and the emotions that go with them yadda yadda yadda–boy, I’ll be glad when I wake up from this! And I hope I never do, but then again, if I did…would I still exist…uh oh, here comes Nihilism…I better shut up–until you’re a Belieber, I mean, believer. Sorry. Good-bye, night vision person. Good luck haunting my dreams when I use that no-dreams spell I just learned! Ha!!! My wife doesn’t call me brujo for nothing. He he he. I know you know Spanish, night vision person, so I don’t mind using it whenever I like. Ok. Glad you’re not mad at me for being so bold. Sorry if it was. Anyway, I hope you are well. I enjoy your writing. You have really good insights. I wasn’t interested at first in your page, but over time, I read it again and liked it. Sorry again. Never mind me. I feel often like a lost boy. Don’t know quite why I’m sitting right where I am. Good luck with life and everything. I just bumped into a girl I graduated with from high school. Hadn’t seen her since those unhallowed halls. We’ve had those same dreams of being in high school and not remembering where classes are or what the combination is the locker. That was random. Anyway, best wishes and good luck. Sorry again. Don’t mind me. I make a lot of mistakes. Goes with the territory, I guess, of being a runner when I never quite knew what I was running from. A monster, I think. I used to dream when I was a boy that a big hairy monster was chasing me through caves, and I would run and run to try to get away…maybe that’s it. Superstition and all.